The Animal Crossing universe (どうぶつの森, Animal Forest) refers to the Smash Bros. series' collection of characters, stages, and properties that hail from the popular Animal Crossing series of colorful life-simulation games for recent Nintendo systems. The series received limited representation in the Smash Bros. games up until the inclusion of the main human villager as a playable character in Super Smash Bros. 4, after which the series' representation grew exponentially. Isabelle, the de-facto mascot of the series since her debut and an Assist Trophy in Super Smash Bros. 4, appears as a playable character in Super Smash Bros. Ultimate. The peaceful town setting of an Animal Crossing game, as depicted in the first trailer for SSB4. April 2001 saw the Japan-exclusive release of a game called Animal Forest (どうぶつの森, Dōbutsu no Mori), a life-simulation title for the Nintendo 64 that received an enhanced remake for the Nintendo Gamecube eight months later. 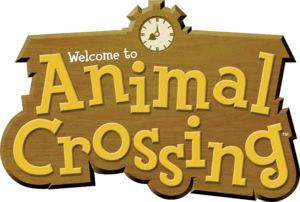 Nintendo of America decided to localize this version of the game for release in the United States, and during the immense translation process many more new features were added, resulting in the final product, Animal Crossing, released on September 2002. The game, which had more-or-less already been "promoted to" western audiences via cameo appearances from some of its characters in 2001's Super Smash Bros. Melee, was a breakout hit and received high marks for its quirky and charming approach to the social simulation genre, and Nintendo of Japan was impressed enough with NOA's version that it was translated back and released for essentially the third time in that country. Animal Crossing was established as one of Nintendo's regular franchises following the GameCube release, and every sequel in the Animal Crossing series had since been released worldwide. From a Western perspective, the second game was Animal Crossing: Wild World for the Nintendo DS late 2005, and introduced an online play component. The third game, Animal Crossing: City Folk (or Let's Go To The City in PAL regions) for the Wii in late 2008, added a city outside of the main town as a new area that could be visited. And the fourth and most recent game, Animal Crossing: New Leaf for the Nintendo 3DS on June 2013, allows the player-character to become the mayor of the town and obtain new customization options for it. In 2017, Animal Crossing became the fourth Nintendo IP to receive a worldwide port for smartphones, with Animal Crossing: Pocket Camp, a campsite management game. The franchise had also spawned an anime film that was released only in Japan, and Animal Crossing properties steadily grew in representation in the Super Smash Bros. games until a character representing a typical Animal Crossing player-character was included as a playable fighter in Super Smash Bros. 4 as "Villager". In a given Animal Crossing game, the player's avatar, a human boy or girl, moves into a randomly-generated village in a forest that is populated by anthropomorphic, talking animals that are all roughly his or her size (despite the large range of animal species the villagers encompass). Once the avatar is settled into their living quarters, they may interact with and perform errands for the amiable residents on a day-to-day basis, amassing wealth (in the form of a type of currency called "bells") and a variety of decorative paraphernalia for their own house. The game is open-ended in that there are no objectives to complete and no way to "beat" the game per se, though one may pursue goals such as collecting all available types of bugs and fish in the game world. The only "long term" goal for players to meet in order to access an unrestricted play experience is that they must amass enough wealth to regularly pay off their house's mortgage whenever the town shopkeeper and real-estate agent, Tom Nook the tanuki, upgrades the floor space of their house. Each game released in the U.S. tracks the real-world passage of time through the platform's internal calendar and affects the status of the player's village appropriately even when that village is not being played, and a player's avatar is able to visit the village of another player's copy of the game. The Animal Crossing franchise was anonymously introduced to Western gamers through Super Smash Bros. Melee, a full year before Animal Crossing’s international release, but not as an established universe. The only appearances of the franchise in the fighting game are as three collectible trophies, each depicting one of Animal Crossing’s staple characters. Animal Crossing is recognized as its own universe by Super Smash Bros. Brawl. There are no playable characters to hail from it. Smashville: This stage is essentially a woodland town in the style of towns generated by Animal Crossing games in general and given a name undoubtedly appropriate to a Smash Bros. game. It takes place on a simply-laid-out pair of platforms that may be floating around above town, with several characters standing and walking around in the background of the lower platform. In homage to the Animal Crossing tradition of environmental effects based on time of the day, the stage will display its background based on the time of the day it is when a match is fought on it, such as battles at night looking dark. If the stage is played at 8:00 Saturday night, a concert-style performance by K.K. Slider will be playing in the background while the brawl is on. Pitfall: In all Animal Crossing games to date (Called Pitfall Seed in Animal Crossing: Wild World), villagers would occasionally dig a trap called the Pitfall with a shovel. If they took the Pitfall and buried it, neighbors that walked over that part of the ground would fall into a hole and be temporarily trapped. This item has the same effect in Brawl, and translates to the Smash Bros. universe as a combination of Donkey Kong's Headbutt attack and the Motion-sensor Bomb. Mr. Resetti: A mole that appears in all the Animal Crossing series games. His name is a pun on the word "Reset," which is what causes him to appear. His job is to make sure the player saves the game. The more the player resets the game without saving, the angrier he gets, eventually reaching the point where he forces the player to perform a number of irrational, absurd actions, such as reciting specific lines word by word. In Brawl, he lectures the players endlessly, much like his role in the Animal Crossing series, but otherwise has no effect on the battle whatsoever (aside from blowing up occasionally and covering about half the screen). Title (Animal Crossing) - Contrary to the title, this track is not merely a remix of the Title Screen Theme from Animal Crossing, but a whole medley of tracks from the game. This track includes the Title Screen Theme, Museum Theme, 3pm - 4pm Theme, Loan Paid Off Jingle, 6am - 7am Theme, Tom Nook's Store Theme and the Town Hall Theme, before looping again.'. It is the main song of the Smashville stage. Go K.K. Rider! - This track debuted in Animal Crossing, where it was one of the randoms songs K.K. Slider could sing at the train station, and in later games at Brewster's Roost. It plays on the Smashville stage. 2:00 a.m. - This track's in-game debut was Animal Crossing: Wild World, where it played between 2:00 a.m. and 3:00 a.m. In Brawl, the track has been heavily sped up, and has had K.K. Slider vocals added. It plays on the Smashville stage. Town Hall and Tom Nook's Store - A medley of both the Town Hall background music from Animal Crossing: Wild World as well as the music that plays in any of the variations of Tom Nook's store in all Animal Crossing games. It plays on the Smashville stage. The Roost - A soothing remix of the music track heard in The Roost in Animal Crossing: Wild World. It plays on the Smashville stage. K.K. Cruisin' - One of K.K. Slider's songs taken directly from the Animal Crossing games, it only plays during one of his Saturday night concerts on the Smashville stage. K.K. Condor - One of K.K. Slider's songs taken directly from the Animal Crossing games, it only plays during one of his Saturday night concerts on the Smashville stage. K.K. Western - One of K.K. Slider's songs taken directly from the Animal Crossing games, it only plays during one of his Saturday night concerts on the Smashville stage. K.K. Gumbo - One of K.K. Slider's songs taken directly from the Animal Crossing games, it only plays during one of his Saturday night concerts on the Smashville stage. Rockin' K.K. - One of K.K. Slider's songs taken directly from the Animal Crossing games, it only plays during one of his Saturday night concerts on the Smashville stage. DJ K.K. - One of K.K. Slider's songs taken directly from the Animal Crossing games, it only plays during one of his Saturday night concerts on the Smashville stage. The amount of content pertaining to Animal Crossing was expanded in Super Smash Bros. 4. In addition to the returning content from Super Smash Bros. Brawl, Animal Crossing received two new stages, a new item, six new music arrangements, and a playable representative. The majority of the new content derives from Animal Crossing: City Folk and Animal Crossing: New Leaf, which were released between Brawl and Smash 4. Villager: the playable character from Animal Crossing debuts as a newcomer, taking his design from the cover of Animal Crossing: City Folk. He was revealed on June 11, 2013 during E3 2013 in the first trailer for Smash 4. All eight of his costumes are based off of other possible appearances from Animal Crossing: City Folk, four of which are female. The Villager uses various tools from the Animal Crossing series to assist him in battle. Villager can pocket a wide range of projectile attacks and items to store for later use. His side special, Lloid Rocket, allows Villager to either shoot Lloid as a rocket, or ride him as an effective horizontal recovery. His up special is Balloon Trip, which allows Villager to fly around with balloons. His down special Timber is a three state move. Using it once on the ground causes Villager to plant a sapling. Using it a second time causes him to water it which makes it grow into a mature tree. Using it a third time causes Villager to swing his axe. Doing so on the tree can cut it down. Contact with the falling tree causes significant knock back. Villager's Final Smash, Dream Home, involves Tom Nook and his nephews, Timmy & Tommy, trapping the opponent in a house being built, which then blows up. Mii Gunner wearing the Isabelle set next to Isabelle herself, a new Assist Trophy. Isabelle Outfit (DLC): the outfit is based on Isabelle, the secretary for the player character in Animal Crossing: New Leaf. She is a very popular Animal Crossing character and has been pushed as the face of the franchise since the release of Smash 4. Isabelle herself serves as an Assist Trophy. The costume was released with a corresponding hat as downloadable content on June 14, 2015. The Mii wears a blonde dog suit with a white blouse, red bow-tie, plaid vest, and green skirt. It wields a party popper similar to the one used by Isabelle during holidays and other special events in New Leaf. K.K. Slider Outfit (DLC]: the outfit is based on K.K. Slider, a nomadic musician from the original Animal Crossing. In Japan, this costume was available with a corresponding hat for free as part of a promotion with 7-Eleven from June 19 through July 11, 2015. It was later released worldwide for free on July 31, 2015 as part of the 1.1.0 update. It was the only Mii Fighter set released for free. The Mii wears a white, full-body dog suit and wields K.K. 's acoustic guitar. Bold italics denotes an item or Assist Trophy new to the Smash Bros. series. Pitfall (throwing): a white "seed" from the Animal Crossing series with a red "!" on it. Tossing one lays a trap that will bury opponents who walk over it or is directly hit by it. Striking an aerial opponent will immediately meteor smash them. Beehive (throwing): a colony of insects from the Animal Crossing series. If thrown at an opponent, a swarm of bees will start attacking that opponent. If the hive strikes the ground, the bees will attack the thrower instead. Isabelle: the secretary for the player character in Animal Crossing: New Leaf. She tosses fruit towards the summoner that heals them on contact. It is possible for opponents to intercept the fruit, but they have to actively grab them with the shield or attack buttons. Isabelle cannot be attacked, but she will flinch if opponents get close. If the summoner is KO'd while she is still out, she will hunch over with a dismayed expression until the player returns. Conversely, she will cheer if her summoner scores a KO. The Pic of the Day that revealed her inclusion was written from her perspective. Timmy & Tommy (Blue): Tom Nook's nephews. The user transforms nearby items into different items. Fighters do not turn into other fighters, and instead will be replaced with items or stat boosts. Isabelle (Blue): the secretary for the player character in New Leaf. The user changes nearby stat boosts to maximum size. Mr. Resetti (Red): an easily frustrated lecturer from the Animal Crossing series. The user reduces a chosen opponent's stats to 0 for one battle. He previously appeared as an Assist Trophy in Brawl. Bus to the City (Blue): Kapp'n's bus from Animal Crossing: City Folk. The user calls everyone to the user's space. Tortimer Island (starter): staged on the eponymous island from Animal Crossing: New Leaf. The layout changes every time the stage is loaded. Fruit can fall off trees, which can either serve as healing or throwing items, depending on the fruit. Seashells sometimes appear on the stage and can be picked up and tossed as projectiles. A large shark swims in the water that will attack nearby fighters. Kapp'n will sometimes drive his boat on the stage, which serves as an additional platform. However, players have to be careful not to get dragged off the stage. The water surrounding the island is not swimmable. The retired mayor Tortimer and members of Kapp'n's family - Leilani, Leila, and Grams - occasionally appear in the background. It is one of the possible stages to appear in Level 6 of All-Star Mode as a home stage for Villager. Its Ω form is columnar. Town and City (starter): staged above a suburb from Animal Crossing: City Folk. The stage is similar to Smashville and Battlefield: it is a large, floating platform with three smaller platforms above it. Eventually, the main platform travels from the suburb to the city from City Folk. This transition replaces the three smaller platforms with two. During each stop, a background platform with various animal villagers watching will hover behind the main stage. The villagers that appear are dependent on the time of day and whether it is staged in the suburb or city. Like Smashville, whether it is day or night on Town and City is dependent on the set time in the Wii U system's internal clock. It is one of the possible stages to appear in Level 2 of All-Star Mode as a home stage for Villager. It is large enough to accommodate 8-Player Smash. Its Ω form is a floating platform like Final Destination, overlooking the city plaza. Smashville (unlockable): staged above a village from Animal Crossing: Wild World. It is a large, floating platform with one smaller platform shifting from side-to-side above it. Item-bearing balloons occasionally float in and will drop the item it holds if popped. Animal villagers appear in the background, watching the fight. The villagers that appear are dependent on the time of day. Like Town and City, whether it is day or night on Smashville is dependent on the set time in the Wii U system's internal clock. Smashville is unlocked once the "Playing Tricks" event is completed. It is one of the possible stages to appear in Level 2 of All-Star Mode as a home stage for Villager. It is large enough to accommodate 8-Player Smash. Its Ω form is a floating platform like Final Destination. Arrangements and remixes unique to SSB4. Plaza / Title (Animal Crossing: City Folk / Animal Crossing: Wild World): an arrangement of "Plaza" from Animal Crossing: City Folk and "Title" from Animal Crossing: Wild World. It plays on Town and City. Outdoors at 7 p.m. (Sunny) / Main Street: an arrangement of "7:00 p.m. (Sunny)" and "Main Street" from Animal Crossing: New Leaf. It plays on Town and City. Kapp'n's Song: an arrangement of "Kapp'n's Sea Shanty" from New Leaf. It plays on Tortimer Island and Town and City. Tortimer Island Medley: an arrangement of "Island (Day)" and "Tour (Day)" from New Leaf. It plays on Tortimer Island and Smashville. Tour (Animal Crossing: New Leaf): an medley of pieces from New Leaf, including "Tour (Day)", "Look What I Found", and "Hide-and-Seek" from New Leaf. It plays on Town and City. Bubblegum K.K. : an arrangement of "Bubblegum K.K." from New Leaf. It plays on Town and City. Arrangements and remixes from previous Smash titles. Title (Animal Crossing): an medley of pieces from the original Animal Crossing and its sequel Wild World. It most prominently features "Animal Crossing Theme", but it also includes "Museum (Day)", "3:00 p.m. (Sunny)", "Loan Paid Off", "6:00 a.m. (Sunny)", "Town Hall (Day)", and "Tom Nook's Store". It plays on Smashville. Go K.K. Rider! : an arrangement of "Go K.K. Rider!" from Animal Crossing. It plays on Smashville. 2:00 a.m.: an arrangement of "2:00 a.m. (Sunny)" from Wild World similar to "02:00 a.m. -Totakeke Mix-" from the Animal Crossing Sound CD: Keke's Choice! Mix. It plays on Smashville. Town Hall and Tom Nook's Store: an arrangement of "Town Hall (Day)" from Wild World and "Tom Nook's Store" from Animal Crossing. It plays on Smashville. The Roost (Animal Crossing: Wild World): an arrangement of "The Roost" from Wild World. It plays on Smashville. K.K. Slider performing in a concert on Town and City. Compositions and arrangements directly sourced from Animal Crossing games with no alterations. All sourced tracks are "sung" by K.K. Slider. He appears in the background of Smashville and Town and City between 8:00 pm and midnight on Saturdays. All pieces are from the original Animal Crossing. Victory! Villager: an arrangement of the first few bars of "Title" from the original Animal Crossing . "Title" from the original Animal Crossing was used in the "1st Trailer" for Smash 4, which also served as the reveal trailer for Villager. "happiness is seeing your kid coming home after a long day at school with a smile on his face." by iWecky from the Wii U Photo Contest. It features the Dream Home, Dr. Shrunk, and Bus to the City trophies. Collectible Animal Crossing trophies that appear in both the 3DS version and the Wii U version. The Animal Crossing universe was further expanded in Ultimate, with the addition of a new character, a new assist trophy, and three new remixes. Villager: Villager returns with much of the same properties that he had in SSB4. Both female and male versions of Villager are playable. Unlike the previous title, they must be unlocked. Isabelle: Isabelle makes her debut as an unlockable newcomer. She has a few similar moves to Villager, but several different normal and special attacks. She was announced alongside the next core entry in the Animal Crossing series on the Nintendo Switch. Beehive: An item that, when thrown, breaks and produces bees that attack the opponent if one is hit, or anyone if no opponent is hit. Pitfall: An item that buries opponents when hit on the ground, or meteor smashes them when hit in the air. All Animal Crossing stages from previous titles return. Smashville: A stage with areas from Wild World in the background. When played with hazards off, the platform doesn't move and is positioned on the center of the stage. The design of the buildings now reflect their appearance in Animal Crossing: New Leaf. Tortimer Island: The island that Tortimer can bring players too in Animal Crossing: New Leaf. The island is identical to its Smash 4 iteration, only with updated aesthetics. Town and City: A stage with areas from City Folk in the background. Like all the other stages, Town and City received a change in aesthetics, becoming brighter. Arrangements and remixes unique to Ultimate. All new tracks are remixes of different title themes across the Animal Crossing games. "Title Theme - Animal Crossing": A new remix of the title theme from the first Animal Crossing game. "Title Theme - Animal Crossing: Wild World": A new remix of the title theme from Animal Crossing: Wild World. "Title Theme - Animal Crossing: Happy Home Designer": A new remix of the title theme from Animal Crossing: Happy Home Designer. "Go K.K. Rider! ": An arrangement of one of the songs K.K. Slider would sing, from the original Animal Crossing. Returns from Brawl. "Title Theme - Animal Crossing: Wild World (Brawl)": A medley of tracks from Animal Crossing: Wild World, including the title theme, the Museum theme, the 3 p.m. theme, the Loan Paid Off jingle, the 6 a.m. theme, the Nook's Cranny theme, and the Town Hall theme. Returns from Brawl. "2:00 a.m. - Animal Crossing: Wild World": An faster arrangement of the theme that played between 2 and 3 a.m., with K. K. Slider vocals added, from Animal Crossing: Wild World. Returns from Brawl. "Town Hall and Tom Nook's Store - Animal Crossing: Wild World": An arrangement of the theme while exploring the Town Hall, and the Nook's Cranny theme, from Animal Crossing: Wild World. Returns from Brawl. "Kapp'n's Song": An upbeat remix of "Kapp'n's Sea Shantey" from Animal Crossing: New Leaf. Returns from Smash 4. "Tortimer Island Medley": A medley of tracks that play on Tortimer Island from Animal Crossing: New Leaf. Returns from Smash 4. "Plaza / Title Theme (Animal Crossing: City Folk / Animal Crossing: Wild World)": A medley of tracks from Animal Crossing: City Folk and Animal Crossing: Wild World, including the city plaza theme from Animal Crossing: City Folk, the title theme from both games, and the 2 a.m. theme from both games. Returns from Smash for Wii U. "Outdoors at 7 p.m. (Sunny) / Main Street - Animal Crossing: New Leaf": A mellow arrangement of the theme that plays between 7 and 8 p.m when it is sunny or cloudy, and the theme of Main Street after it has developed enough, from Animal Crossing: New Leaf. Returns from Smash for Wii U. "Tour - Animal Crossing: New Leaf": A arrangement of the Island Tour theme, the Hide-and-Seek theme, and the "Look What I Found" jingle, from Animal Crossing: New Leaf. Returns from Smash for Wii U. "Bubblegum K.K. ": An arrangement of one of the songs K. K. Slider sings, as well as the title theme, from Animal Crossing: New Leaf}}. Returns from Smash for Wii U. Tracks sourced directly from the Animal Crossing games. "House Preview": The theme that plays when viewing a house, directly after designing it, sourced from Animal Crossing: Happy Home Designer. All K.K. Slider songs are original themes taken from the Animal Crossing games. "Victory! Animal Crossing Series": A remix of the first phrase of the main theme from Animal Crossing. In Ultimate the song is sped up. The kanji aruji "主" denotes a Master Spirit. The Pitfall Seed originates from this game. Mr. Resetti, who debuts in this game, appears as a Assist Trophy in Brawl. Go K.K. Rider! was one of K.K. Slider's tracks in his debut in this game and a staple of his discography ever since. The medleys Title (Animal Crossing) and Town Hall and Tom Nook's Store, both debuting in Brawl, partially contain music that originated in this game. All the songs K.K. Slider can perform on both Smashville and Town And City on Saturday nights first appeared in this game. Three trophies in Melee (Tom Nook, Totakeke / K.K. Slider, and Mr. Resetti) all originate from this game. Smashville draws primarily from Wild World. The overall aesthetic of the stage's background, the flat village, and elements such as Kapp'n's taxi, the Roost cafe, and some of the background villagers, originated in this game. The stage is simple; its biggest gimmick likely being how the stage changes depending on the time of day. Similar to both Animal Crossing and Wild World, K.K. Slider, also known as Totakeke, will appear on the stage at 8:00 PM on Saturdays for four hours. 2:00 AM is an upbeat remix of the music that would play in this game between 2 and 3 AM. The Roost is a more fleshed-out arrangement of the theme of coffee shop The Roost, which debuted in this game. Title (Animal Crossing) and Town Hall and Tom Nook's Store partially contain music that debuted in this game. The Villager's appearance and alternate colors are based on the player designs from this game. The Town and City stage in Super Smash Bros. for Wii U is directly inspired by City Folk (or Let's Go To The City in PAL regions). The town backdrop is large and has multiple cliffs, hills, and levels just like in that game, and also includes some of its original landmarks such as the fountain and bus stop. It is also the only Animal Crossing game in which the player could visit the big city (hence the name). The portions of the stage in which the central platform "travels" to the city's central plaza are a direct homage to this aspect of the game, down to being able to see Kapp'n's bus down below while the stage is moving from one area to the next. The music track Plaza / Title (Animal Crossing: City Folk / Wild World) incorporates the music of the City Plaza from this game and the Title and 2:00 AM themes present in both this game and Wild World, acting as the main theme of the aforementioned stage. The Kapp'n Assist Trophy in Ultimate has him driving a bus, in reference to the one he takes the player to the City and back in in this game. Isabelle, who debuts as a playable character in Super Smash Bros. Ultimate, made her debut in this game. She was formerly an Assist Trophy in Super Smash Bros. 4. Super Smash Bros. for Nintendo 3DS has a stage based on Animal Crossing: New Leaf, Tortimer Island. The stage changes layout every time it is loaded. Outdoors At 7 PM (Sunny) / Main Street: an arrangement of the theme that plays in this game between 7 and 8 PM and the Main Street theme. Tour: an arrangement primarily consisting of the theme that plays when touring Tortimer Island. Bubblegum K.K. : an arrangement of a K.K. Slider track that debuts in this game. Tortimer Island Medley: an arrangement of two songs that play on Tortimer Island in this game. Kapp'n's Song: an arrangement of music Kapp'n would sing to the player while traveling to Tortimer Island in this game. This game's title theme is remixed in Super Smash Bros. Ultimate. The house preview theme from this game is ported directly into Super Smash Bros. Ultimate. Though no content from this game is currently known to be in Ultimate, it is referenced by Isabelle in her reveal trailer. "Although I wish the mayor wasn't so busy with the campsite and Smash." The Animal Crossing universe is the only universe in Brawl to have its own section in the Sound Test and Trophy Gallery that doesn't have a playable character. The Animal Crossing universe is the only universe with a playable character in the Super Smash Bros. series to have a stage before a playable character. Animal Crossing, Fire Emblem, Kid Icarus, Street Fighter, and Castlevania are the only universes with multiple characters to not be introduced in the original Super Smash Bros. Animal Crossing is also the first universe to make a playable debut in SSB4 that has more than one playable character (the second one is Street Fighter). Animal Crossing and Mega Man are the only universes to have a completely different Assist Trophy in each installment. For Animal Crossing: only Mr. Resetti is in Brawl, only Isabelle is in Smash 4, and only Kapp'n is in Ultimate. This page was last edited on April 18, 2019, at 05:05.